Local film writers attract attention overseas with indie film The Wrong Lane. 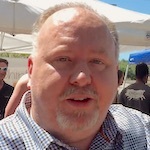 SEBASTIAN – When local film writers Roy and Mary Myers-Garton started work on their indie film, “The Wrong Lane,” they never imaged that a popular entertainment magazine from England would take interest in it. “Mary and I are pretty pleased overall how it’s doing and the attention it’s getting,” Roy told Sebastian Daily. Roy was pleasantly surprised by an inquiry. What resulted from an email contact was a nice two-page article. 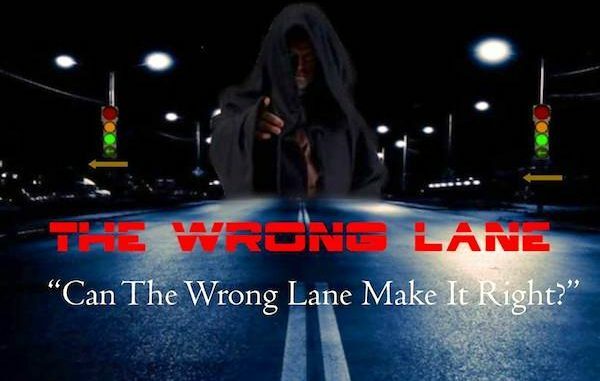 The Wrong Lane is an indie short produced by Brevard Film and Talent in Melbourne, FL. Last year by vote of the membership, Roy and Mary’s script was chosen to be put into production. Roy directed and co-starred in the film while Mary served as script supervisor. Other members of the group including John Granger, an up and coming photographer, supervised the shot selection. “I typically put films I direct onto IMDB (Internet movie data base) so I can credit my cast and crew and that is where CVH First Class Magazine ran across the film,” Roy stated. “The editor, Christina Howard is a film buff and she reached out to me personally wanting to know more about the story-line. I sent her a screener, and she loved it. The rest is history as they say!” Garton added. After publication, The Wrong Lane started to receive inquiries from Scotland, Stateside, England, Germany, and other individuals have started asking about the indie short. According to their website, CVH 1st class has over a million readers worldwide. The Wrong Lane is already going into its 5th festival with more scheduled and awaiting acceptance. The Wrong Lane stars Arwen Patterson, Chris Kisel, Elizabeth Corbett, Roy Garton, Kimm Marie and Devante Wilson as the mediator. The story focuses on a young lady finding her birth parents for the first time by supernatural forces and her reactions. It is based on actual experiences from Mary’s adoptive children which make’s it so powerful of a story. For more information contact Roy Lewis Garton 321.759.7256 or email him at [email protected] You can also visit the film’s Facebook fan page and the The Wrong Lane IMDB page.